Please review the entire page for information on ordering. 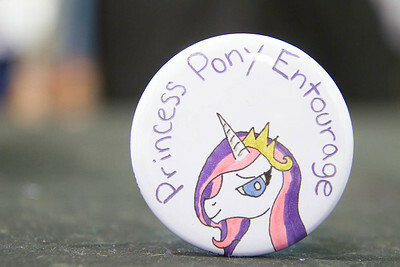 Buttons are still a popular and effective merchandise option for many groups. From artists looking to promote their work in an inexpensive and portable format, to bands wanting an easy way of social advertising, to organizations seeking to fundraise. Wholesale pricing starts at a minimum order of 50 pins, and prices start at .50 per pin. Contact me for a quote and ask about ordering a sample pack if this is your first order. Artwork is to be provided by the customer. Graphic design can be ordered separately, please email to discuss pricing. If you have physical artwork and do not have access to a scanner, arrangements can be made to have it shipped to me to scan and then digitally reproduce. You are responsible for insurance and I make no guarantees against loss or damage in shipping. All first-time orders will be sent an email for final review and approval before production starts. Files should be in jpg or png format, with a recommend minimum of 300dpi. Setup fees are a one-time $5 per image/design. Please note that the number of designs needing to be set up can increase production time. 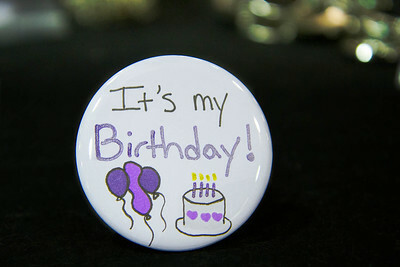 Buttons can be ordered in two different sizes: Large or Small. See image below for general size comparison. The large pins are 2.25″ in size. These are perfect for detailed artwork or lots of text. The buttons are easily visible from a good distance away and attract a lot of attention. They are not too large to wear comfortably and I find these are just as good a seller as my small pins. In addition to the standard pin-back, you can order this size in a variety of alternate options as shown below. The mirror is solid glass and very sturdy. The bottle opener is made of hard steel and includes a keyring. The small pins are 1.25″ in size. These are great for smaller artwork or short simple lines of text. They are easy to collect in clusters on hats or bags, and easy to sell in sets. 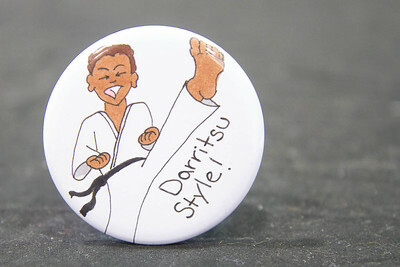 In addition to the standard pin, you can order this size in a variety of options as shown below. The keychain and zipper pull have a flat plastic back insert with a solid loop that holds the zipper clasp or keychain ring. We’ve been selling buttons since 2005! Find us at local conventions throughout the Midwest.